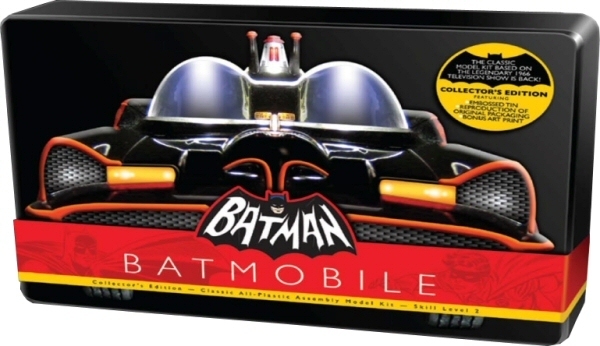 Well, looks like Round 2 has done what Polar Lights could not – namely re-releasing the Batmobile model. For those that don’t know or remember – Since many of the original patterns and sculpts for many classic models have been lost or sold or destroyed over the years, Polar Lights (another name for the AURORA Borealis, get it?) had the bright idea of gathering up some really pristine examples of some of the great kits of yesteryear and use them to make new steel molds. I know this because they bought my original Aurora Batcycle when they were scarfing stuff up. They put out the Batboat and the Batcycle and several comic-inspired vehicles. This was not a small or inexpensive undertaking and it, among other things, drove the company out of business. I knew they had the original Batmobile molded up years ago. Mike Stutelberg, a friend of mine who designed other PL bat-kits and was part of the line’s creative team told me loads of stories from this company propeciafinasteridestore.com during this time period. Many very interesting ones. Seveal test molds (often in white styrene) have been sold over the years on eBay pretending to be “original Aurora test shots” but are actually much more recent Polar Lights test shots. PL weren’t able to afford or acquire the license and it all fell through years ago. But here we are in 2009, a year after a successful Mattel Batmobile revival and apparently Round 2 has been able to pull it off. Looks like the Batmobile model is up for pre-ordering at several retail spots! Now keep in mind it is a recast of the original Aurora 1/32 car so it’s 7″ long, much smaller than the Mattel diecast. And it was a really innaccurate model. But it remains the number one selling model kit in Aurora’s historyand is a bunch of fun. With any luck, Round 2 will maintain the packaging like PL did and it will be a welcome addition that we can pimp as soon as possible. Actually Revell still has the Aurora Batmobiles and Batcycle molds and kept them in good condition. Revell did make apple green colored test shots of the Batmobile about 15 years ago to check the molds. I saw them and the test shots were like new. 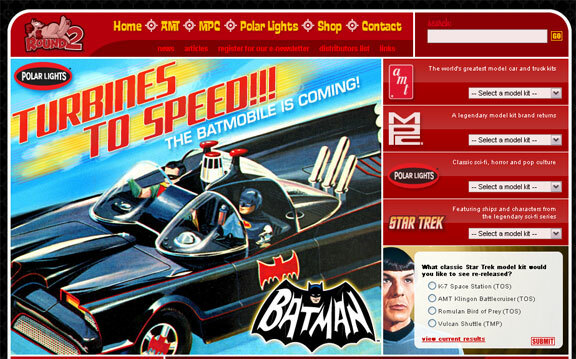 I’ll be buying Polar Lights tin and retro Batmobile. I hope they add optional improved parts like accurate door bat decals. I’ve been looking for this car for decades ..
Now I can build it with my hands.